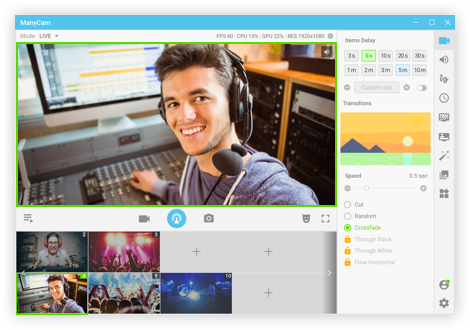 Best free webcam software – a useful tool for recording multiple security cameras, capturing virtual cameras, customized possibilities for live streaming and broadcasting. ManyCam is one of the most popular free, easy to use webcam software at present time. 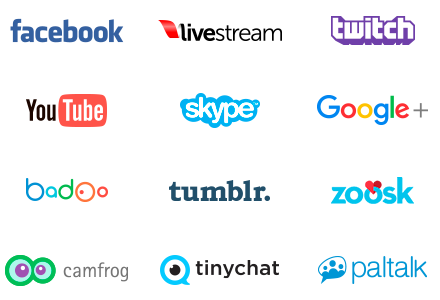 It allows user to capturing videos from multiple real or virtual cameras along with customized possibilities for live streaming and broadcasting. It can be used for security cameras too. ManyCam can work well on Windows, Mac, android and iOs. It is a freeware and possible to upgrade to PRO version. See how it work from this tutorial. A screencast is a recorded video of the actions you take on your computer screen. 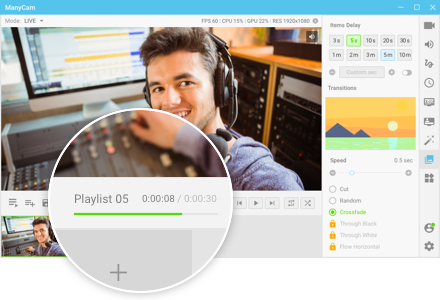 Record a video of your desktop and save it to your computer, or decide to screencast your desktop live while using ManyCam. You can also use ManyCam as your video source on YouTube to record videos of your desktop. Where to Download ManyCam and Prices? 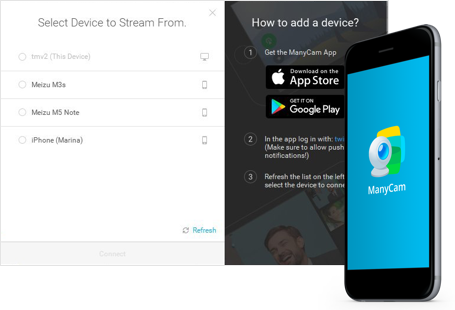 ManyCam Enterprise 2 Devices $149 annually. ManyCam Enterprise 2 Device $297. If you want to purchase ManyCam at lower price, find a software coupon code of ManyCam here to save your money! ManyCam deserves to be the best free webcam software because of its feature rich package and reasonable cost to purchase. Try this software and let us know if you are happy about it. Remember to follow us to receive valuable post notifications in the future.